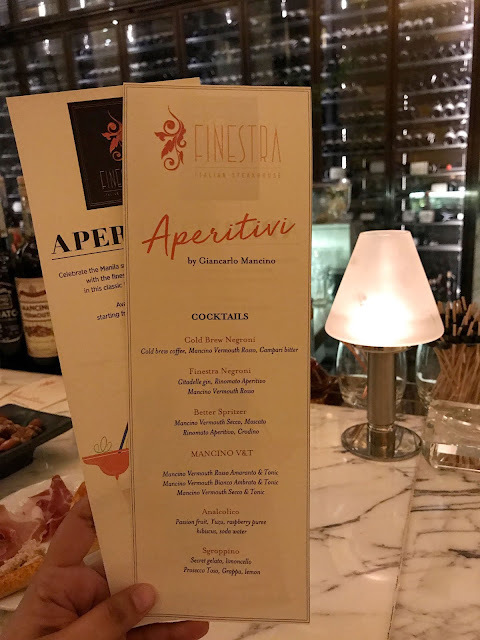 As I have confessed in my last blog entry, Finestra's Aperitivo is the best Aperitivo in the Metro! 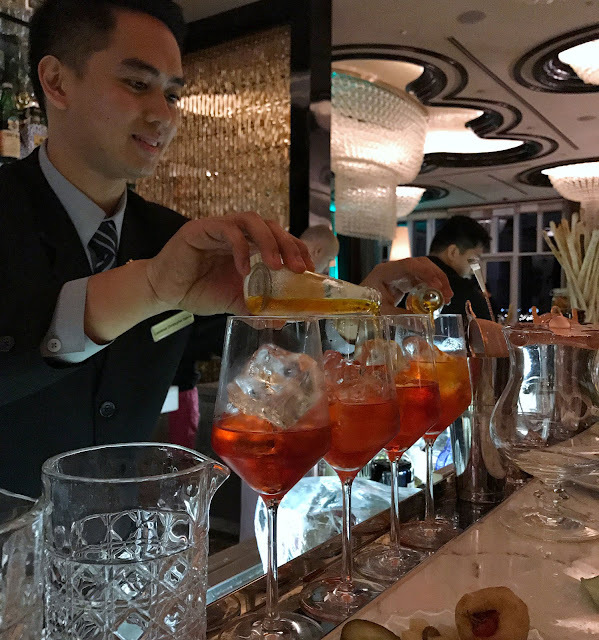 A pre-dinner drink and eat all you want affair every Friday, 5:30PM to 7:30PM, it's part of Finestra's Bella Notte for ladies! 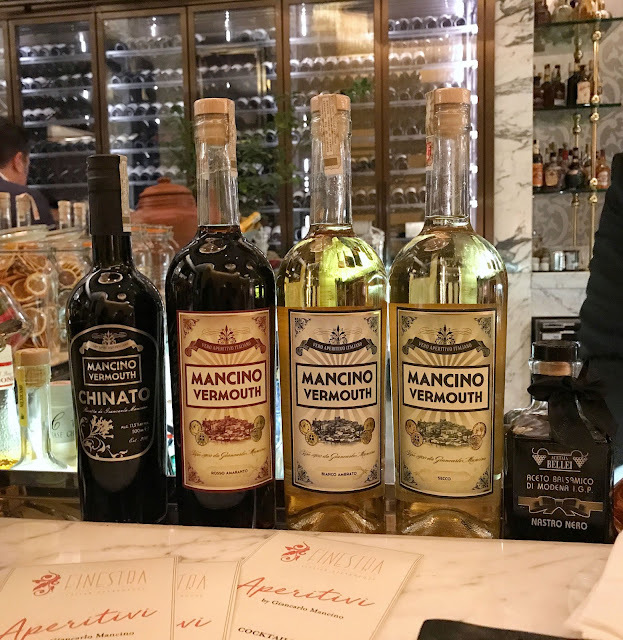 As if the deal is not yet enough, they took it to the next level by incorporating Mancino Vermouth into their cocktails! Revamping their list of beverages for the finest ladies in town, they went all out with one of a kind, never before offered cocktails in Manila. 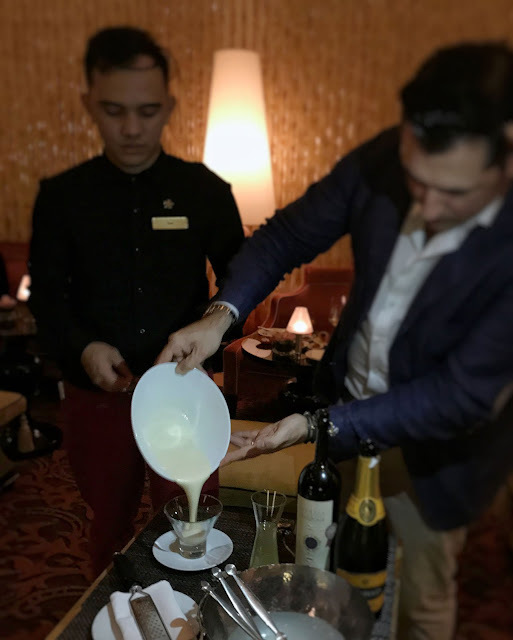 Got the chance to meet Giancarlo Mancino himself, the world renowned mixologist/bartender from Italy, who's also the owner of the Mancino Vermouth line. He whipped up my first drink for the afternoon and a couple more after that. 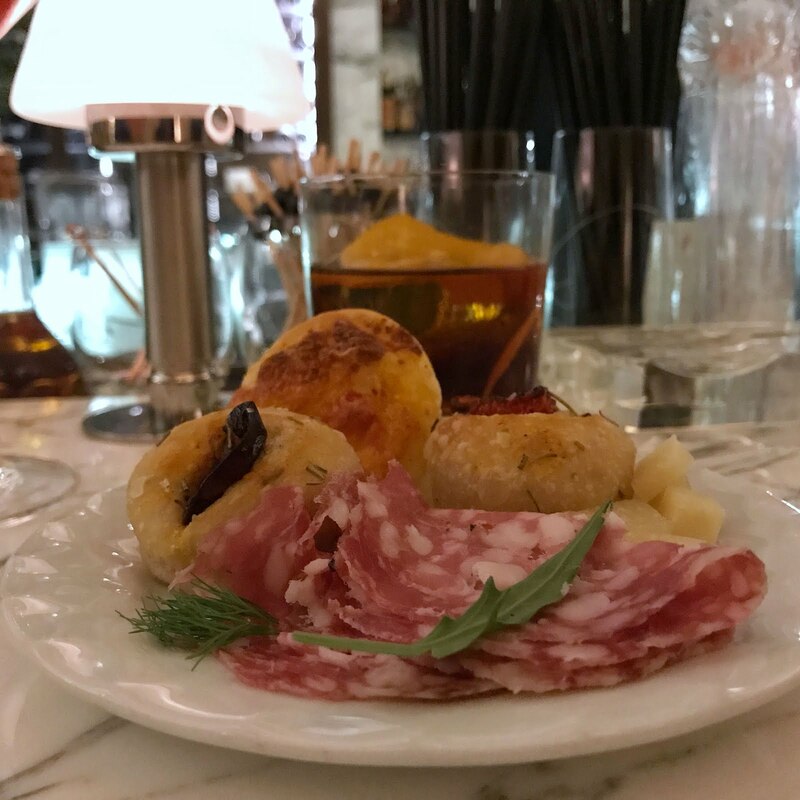 Aperitivo on a Friday made extra special! FRESH fruits waiting for the cocktails! 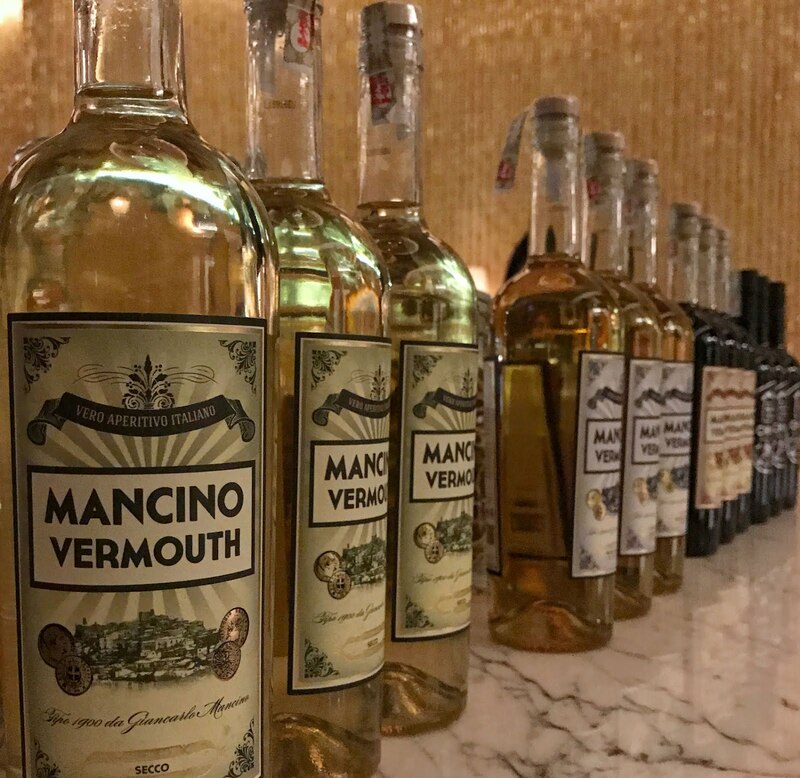 Partnering with Finestra, Giancarlo Mancino brought with him his complete line of Vermouth to come up with extraordinary cocktails that every lady will surely love. Now, you ask, what is Vermouth? According to Giancarlo, Vermouth is widely used during Aperitivo - as an ingredient to cocktails or even served on it's own as it is, chilled or over ice. 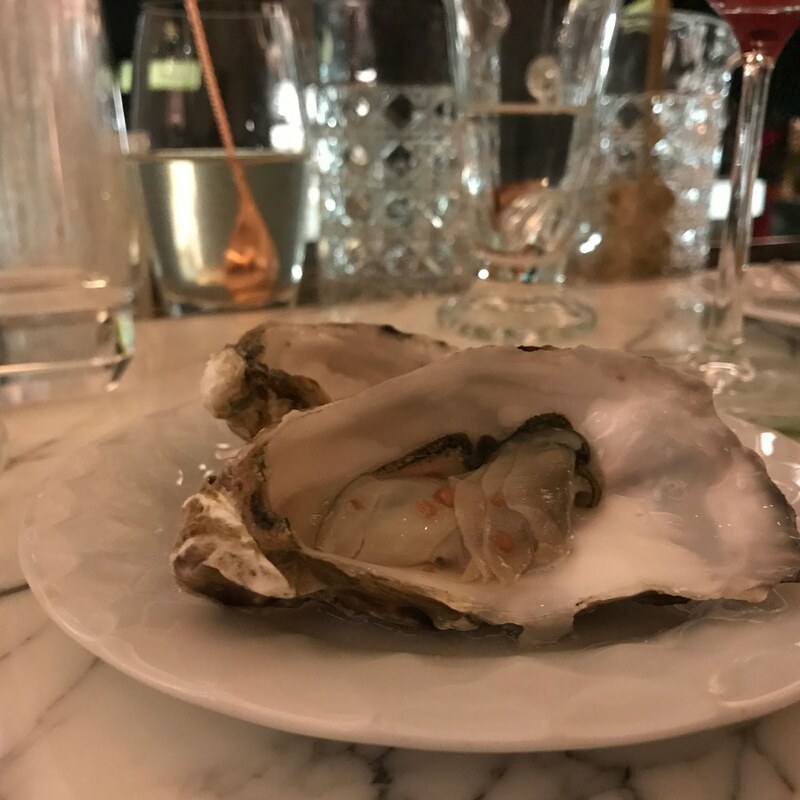 It can be paired with meat or can also be used for cooking like your usual white wine. 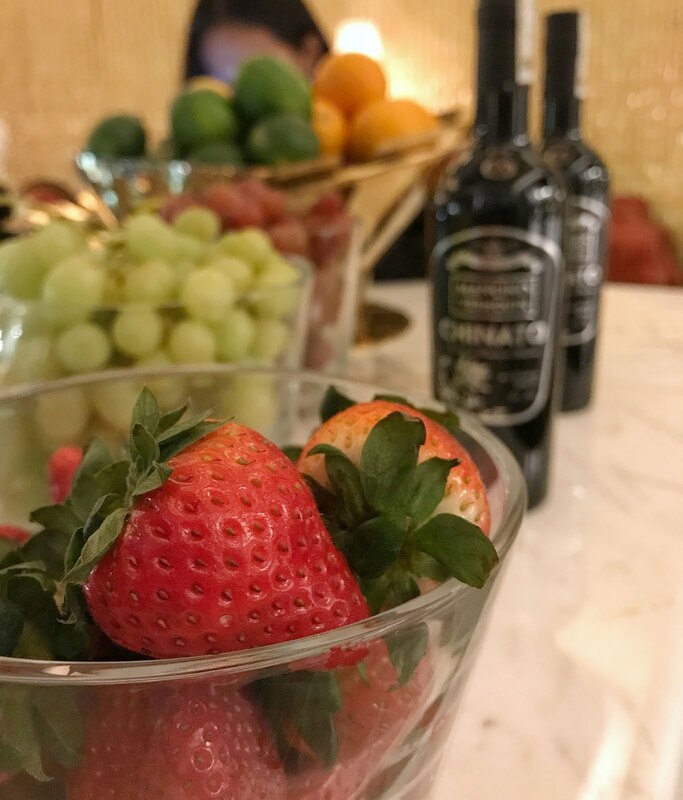 From Negroni to Spritzer, fruity non-alcoholic drink to a dessert cocktail, each one in the list was a hit! 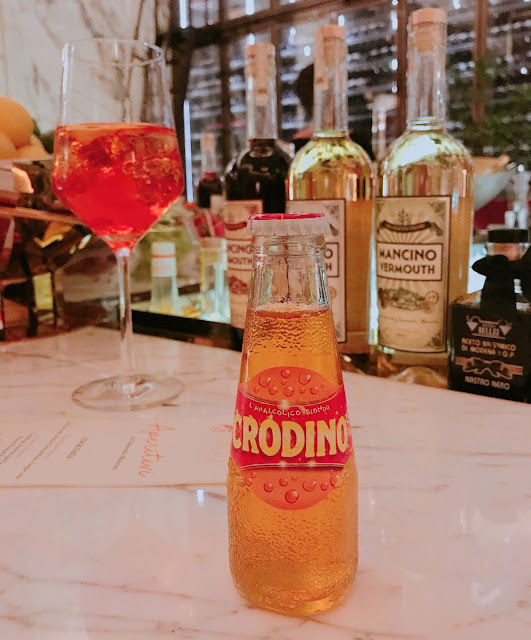 Since I was the first one to arrive for that day's Aperitivo, I had the chance to have a customized drink that wasn't on the list. 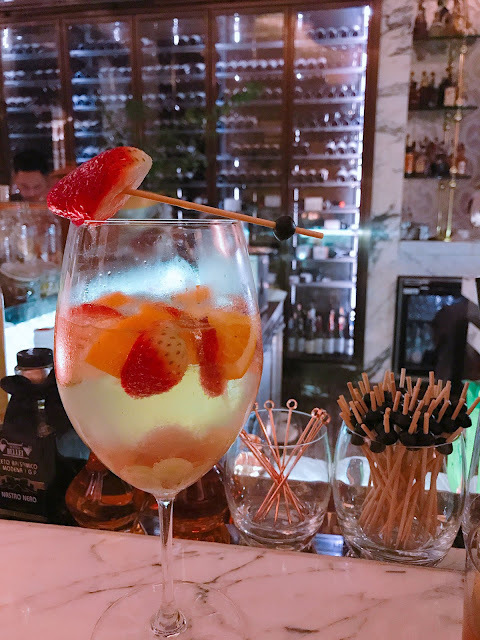 Giancarlo asked me to describe the drink that I want so I went on saying that I wanted something light an fruity, a twist to my favorite Limoncello Sangria. Viola! Giancarlo made me a glass of Limoncello Spritzer! 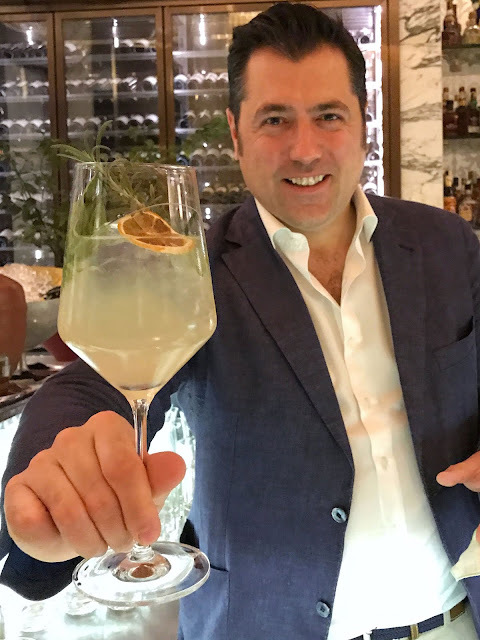 Mixing some Bianco Ambrato Mancino Vermouth, Limoncello and some soda, he finished it off with dried lemon and fresh herbs! It was indeed light, bubbly and very easy to drink. From the way Giancarlo prepares his cocktails, you can tell that he is so passionate about his craft. Careful measurements and pouring, carefully swirling and shaking then choosing only the freshest herbs to top off each cocktail. 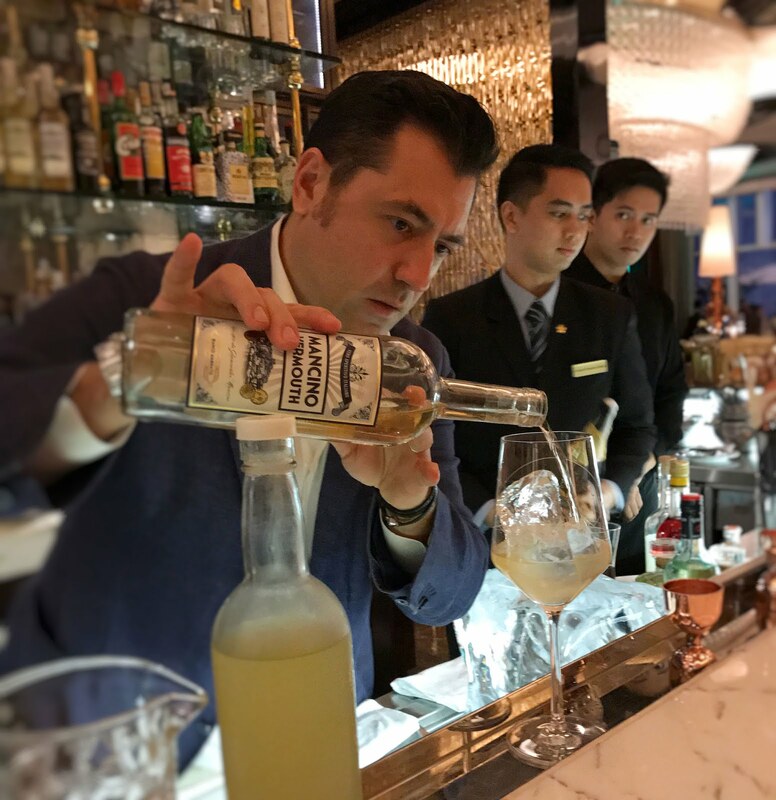 He has worked hard to train the Finestra bartenders to ensure that they'll serve the same quality cocktails that he can whip up! 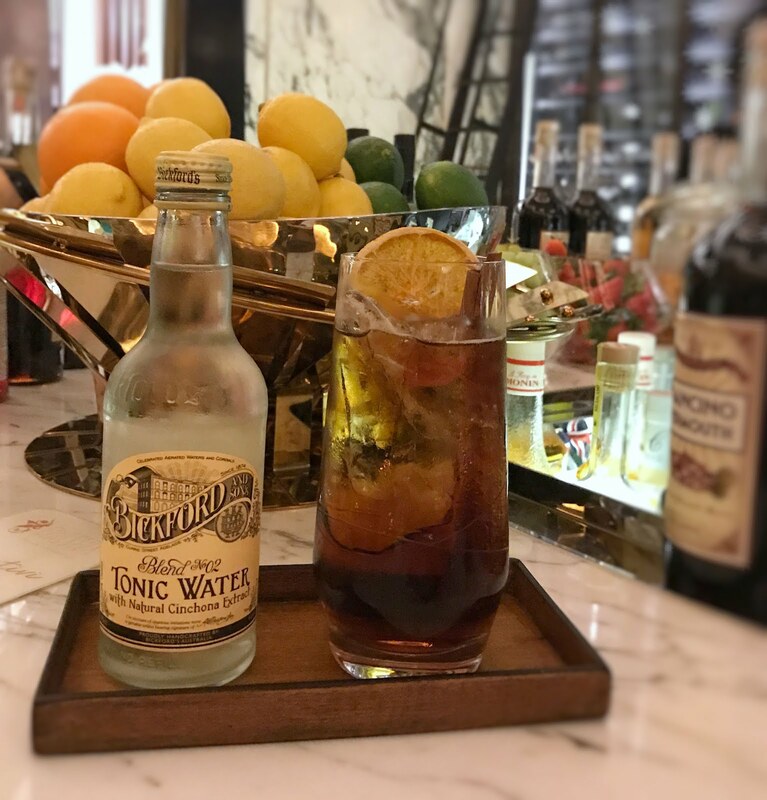 Cold Brew Negroni for the coffee x cocktail lover! After my Limoncello Spritzer, Giancarlo offered for me to try the Cold Brew Negroni. I mean, cold brew coffee in my cocktail? Double the trouble! But for one coffee lover like me, I can't pass this chance. 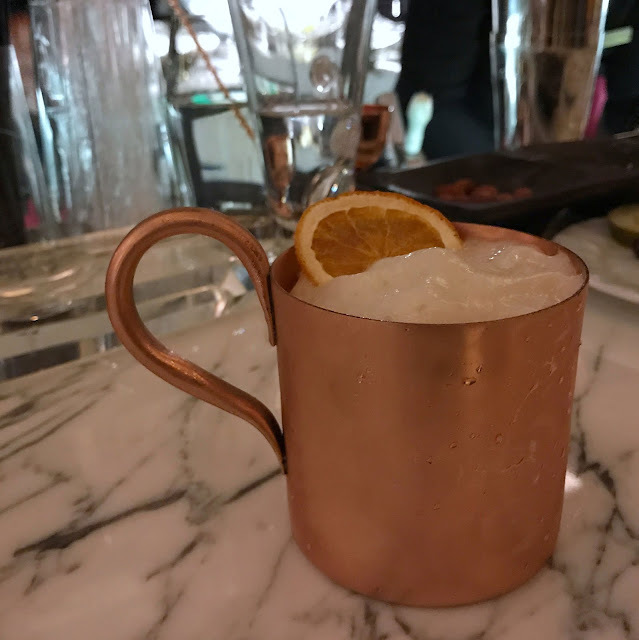 Served over ice in a small clear glass, they wiped the mouth with orange peel and topped the drink with the same. 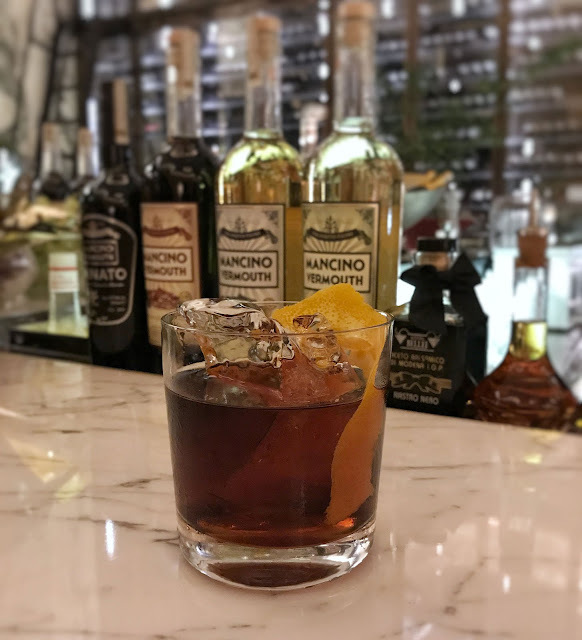 When you take a sip, you'll get the fragrant orange smell and the citrus kick right before your lips touch the bitter yet smooth coffee that's been perfectly balanced with Mancino Vermouth Rosso. The alcohol kick was strong but overall, I loved this drink! The fun didn't stop there! Just when I though that the Cold Brew Negroni would be my favorite drink of the night, Carl - my fave bartender in Finestra, came by my side ready for some serious cocktail making entertainment! 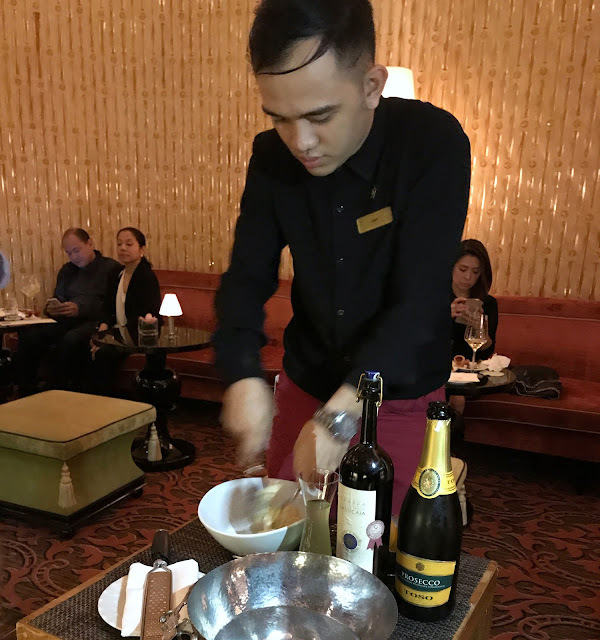 He was set to make a dessert cocktail - Sgroppino! Finestra is the FIRST in the Philippines to offer such and the sweet tooth in me was so delighted. 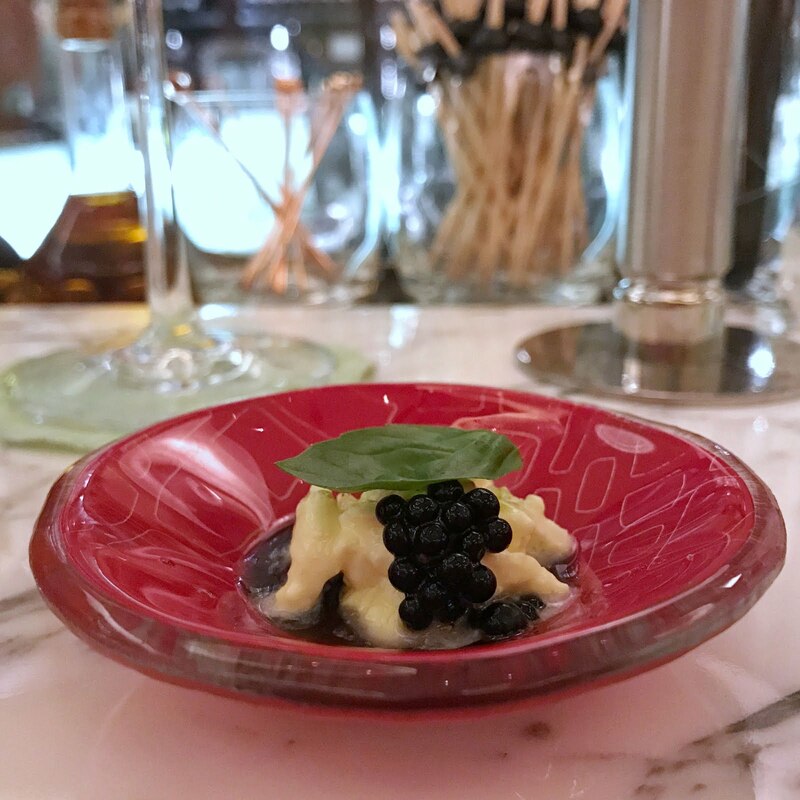 Imagine - White Chocolate Gelato x limoncello x Prosecco Toso x Grappa x lemon! One sip and I'm hooked! I can drink 3 glasses of this! It was thick and creamy, with a very light alcohol taste, sweet and really really good! It was like drinking lemon curd with custard and a splash of alcohol. This, and my fave Limoncello Sangria, are enough to make me go back again and again to Finestra! Just to take a little break from all the cocktails, I tried the only one in the list that's non-alcoholic - Analcolico. 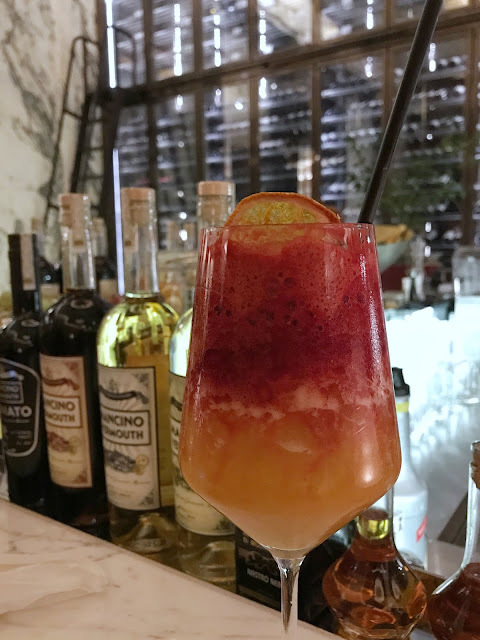 It's a blend of passion fruit, yuzu, hibiscus and soda water topped with raspberry puree. A nice color combination if yellowish orange liquid topped with pinkish red puree, this was too sour for me. There was just too much of the yuzu and the raspberry flavors. As usual, I got myself some fair share of cold cuts, bread, oysters and some other munchies being served. Salami, Prosciutto, cheese cubes, and these small pillowy soft bread! Moving on with more cocktails, I tried the Finestra Negroni next. You see, I tried to avoid this during my last visit but with the foam that it was topped with this time, I was lured! Citadelle gin x Rinomato Aperitivo x Mancino Vermouth Rosso - nope! Not my type. The alcohol was strong with this one and for me, it wasn't something that was easy to drink. Better Spritzer lined-up for the night! Better Spritzer was one crowd fave drink that night probably because of it's bubbly orange color. Made with Mancino Vermouth Secco, Moscato, Rinomato Aperitivo and Crodino. Cordino is a bitter aperitif from Italy that comes in small bottles. It's lively orange color makes this cocktail so pretty! Light and easy to drink, this cocktail was a tad sweet with a mild kick of citrus. No wonder every lady in the room liked it! Mancino V&T - choose your poison! The only cocktail from the menu that I wasn't able to try was the Mancino V&T. 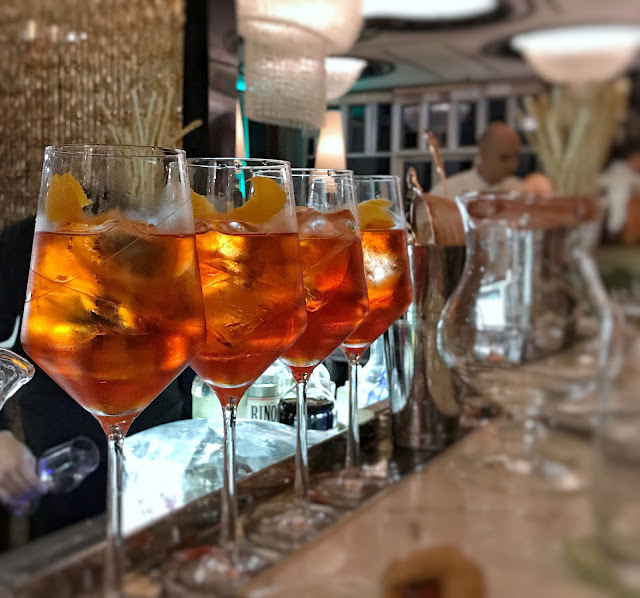 There are three options for this drink: Mancino Vermouth Rosso Amaranto & Tonic, Mancino Vermouth Bianco Ambrato & Tonic or Mancino Vermouth Secco & Tonic. To cap off the night, I went for my first love - Limoncello Sangria! They didn't have fresh apple bits that night so I made sure to get lots of strawberry instead! Still the same light and easy to drink Sangria, the added fruits just made this drink even more lovely! 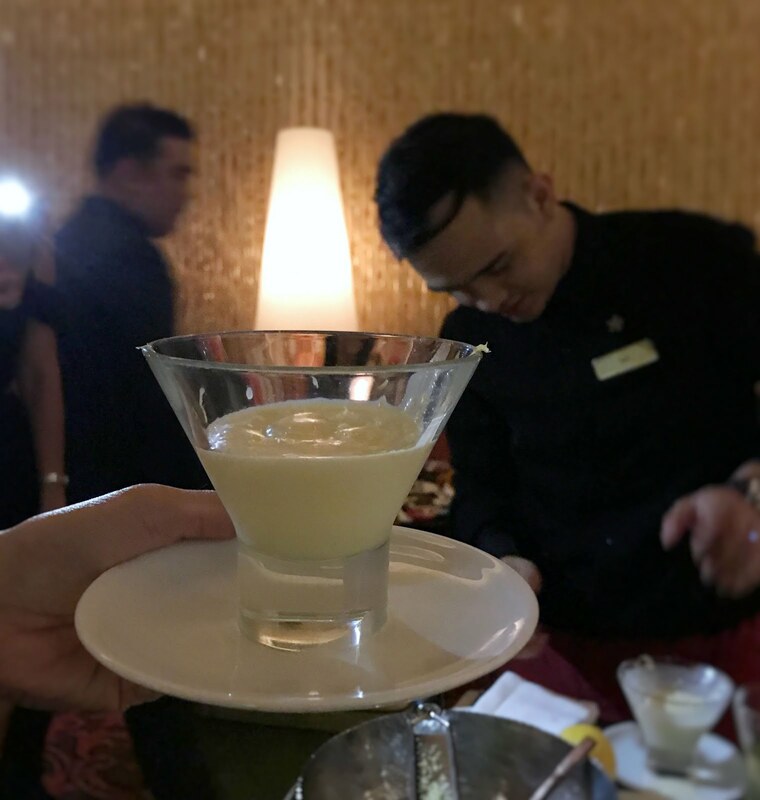 Still pegged at 1288 Php, available every Friday from 5:30PM to 7:30PM, this new cocktail list will be their mainstay for the entire year! Don't forget to bring your lady BFF and enjoy 1288Php for two! 5 out of 5 Stars for Finestra's Aperitivo!